We do lots of cool things at TADWA, but this new Ice Glider is sub-zero! 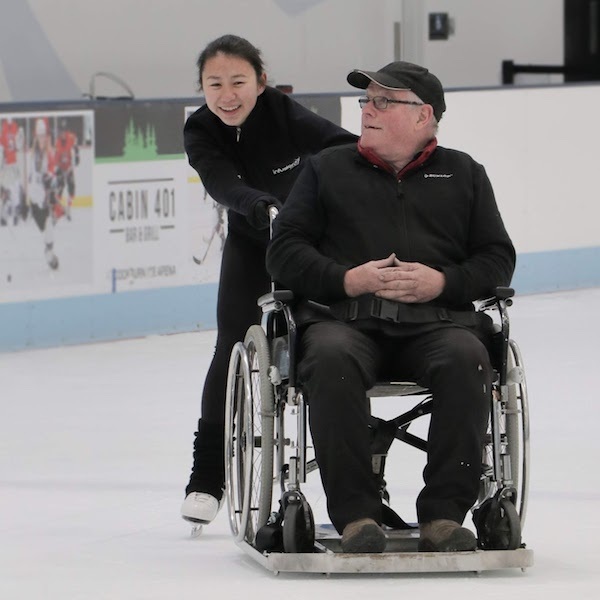 Commissioned by Cockburn Ice Arena, the Ice Glider will complement the TADWA Ice Chair which was delivered earlier this year, boosting the venue’s capacity for disabled ice fun and providing a simpler means of transferring onto the ice for people in wheelchairs. With the new Ice Glider, the participant’s own wheelchair is rolled onto the sled and strapped down. Steel runners then provide the glide and directional stability to get out onto the rink and have fun. An experienced skater is in control, using the handles of the wheelchair to propel and guide the Ice Glider around the rink. With this latest innovation Cockburn Ice Arena is again raising the bar for all-abilities ice fun in Australia.